The New York plant installed in collaboration with Emerald Equipment, our official dealer for the area, mounts a TERRAE filter press and one 130,000 liters thickener. The water treated is 5,200 LPM (1375 GPM) in 2-3 cycles to have an output of 22 TPH (dry cakes). 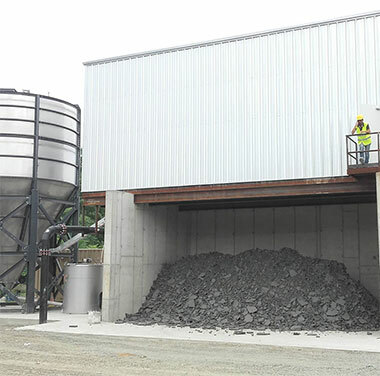 Matec plant treats water from aggregates production process.